Can I compost Ivy - Can I Compost It? Ivy is normal plant material, so it will definitely compost. 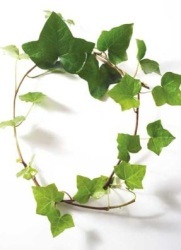 The problem however lies in ivy’s ability to sprout and regrow from a small fragment. Obviously we don’t want this in our compost. To avoid this, people have suggested a number of possibilities. One option is to set it aside and allow it to completely dry out before adding it to your compost. And even then, cut it up into small 3-4 inch sections. Another option is to get it composting on its own for the initial stages, perhaps with the cut up ivy in a black plastic bin bag. And only when it has started to decompose, add it to the normal composter.